This is my last week at the farm and I am very sad to leave. I learned so much this summer and it has been of the greatest summers I'd ever had. This will be a picture heavy post because I spent almost two weeks in a row here. A lot of exciting things happened this week. I got to visit Purely Farms located in Pipersville, Pennsylvania. 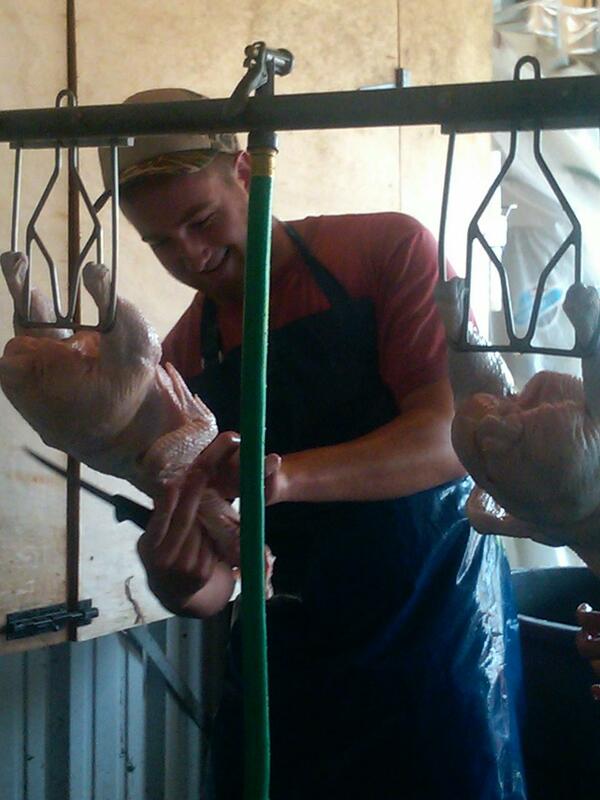 They pasture raise chicken, turkey lamb and pork and process there own birds. 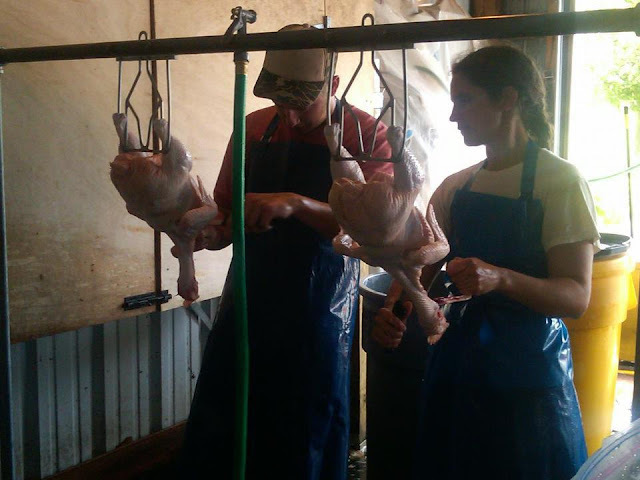 I wanted to learn more about poultry processing so I visited the farm on a processing day. It was a great experience, and it is something I need more practice in to get the hang of it. Especially if you are processing 100 birds in one day. Moving onto the cow side of the farm, we finally moved the cows onto the Sorghum- Sudan grass field. The field can only be grazed once the Sorghum-Sudan grass has reached a height of 18-24 inches. The reason for this is because this particular plant contains dhurrin which breaks down and releases prussic acid which is toxic to the cows. On the chicken side of the farm the Cornish cross chicks where moved outside and they are doing fine. The chickens will be processed Sept. 19th. The red broilers will be 12 weeks and the Cornish will be 8 weeks. I hope to return to the farm to sell the chickens at the farmers market which means I will be writing one more post about my experience at the market. My last night at the farm Jeanmarie cooked us all a great dinner with the farms own beef. Jeanmarie and Greg are amazing positive people. I learned a lot from them, not just about farming but about life in general.